Over the last few years, the global solar photovoltaic materials market has witnessed rapid expansion on account of the increasing concerns regarding environmental issues, staggering rise in the carbon footprint, and rising greenhouse gas emissions. All these environmental issues have boosted the high demand for solar PV, which in turn is boosting the demand for solar PV materials. With increasing research and development activities for the development and introduction of new materials to be used for solar photovoltaic, and developing a materials which has high power conversion efficiency and low manufacturing cost, the market for PV materials will witness fast growth. The rapidly increasing investments in the renewable energy generation sector and the rising demand for decreasing the dependency on fossil fuels will also help push the demand for solar photovoltaic materials. In addition to this stringent rules and regulations with also aid the growth of the market. The increasing concerns regarding the environmental issues caused on account of the rising use of coal and oil as conventional energy sources are the key factors boosting the adoption of solar energy. This in turn is expected to give rise to an increased demand for solar photovoltaic materials. The staggering rise in the greenhouse gas emission as well as carbon footprint has led to a demand for clean and green energy, subsequently leading to an increased number of solar panel installations. An increasing number of research activities in order to discover new materials with high power conversion efficiency and low cost of manufacturing will also help this market to grow. On the other hand, the materials used for solar photovoltaic is extremely difficult to reuse or recycle which again causes negative environmental impact. This along with the large space required for the production of energy through solar power will be significant challenges to the growth of the solar photovoltaic material market. In addition to this, the high installation cost as well as high maintenance expenses will also hinder the growth of the market. Despite the fact that materials such as copper indium diselenide and cadmium telluride are cost-effective, they provide low power conversion efficiency and therefore pose a challenge. On a bright note however, market players are investing in research programs for the development and introduction of new solar photovoltaic materials which have increased efficiency and low manufacturing cost. Also, governments worldwide are motivating researchers and scientists to develop technology advanced processes and this will give a boost to the solar photovoltaic material market. It is anticipated that in terms various application areas such as commercial and Industrial sectors, it is the commercial sector which will emerge as the leading application area of solar photovoltaic materials. The growth of the segment can be attributed to the rising installation of solar PV in hospitals, shopping complexes, airports, and malls which are all commercial buildings. Solar PV is installed in these buildings to give them the ability to generate electricity from an independent source. 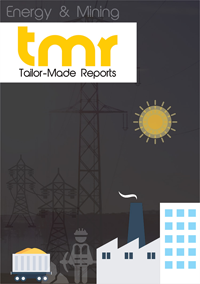 On the basis of geography, the global solar photovoltaic materials market is segmented into Asia Pacific, Europe, North America, and the Rest of the World. Asia-pacific held a massive 60% share of the total market in 2015 and is expected to continue to lead in the solar photovoltaic materials market on account of the rising trend of generating electricity from renewable sources. The Asia Pacific market for solar photovoltaic material is also growing on account of increased demand for PV installation within the power industry. In the years to come however, North America is also anticipated to emerge as a lucrative market for solar PV materials. This can be attributed to the rising environmental awareness in North America. BASF SE, Hemlock Semiconductor Corp. LLC, Mitsubishi Material Corp., LDK Solar Co. Ltd., Wacker Chemie AG, Okmetic, Applied Materials Inc., Atecom Technology Co. Ltd., Shin-Etsu Chemicals Co. Ltd., Silicor Materials Inc., Topsil GlobalWafers A/S, and Targray Technology International Inc. are some of the key vendors of solar photovoltaic materials across the world.